Today we continue a series of features united by a common concept "that's what one of us can do". Next in line is the story of a director of a stir-causing American TV drama Oive Kitteridge - of Lisa Cholodenko. It was these words that Lisa was shouting in pure English during Q&A session at Venice Film Festival 2014 when she had spotted journalists with blue and yellow signs. Back then she brought her series Olive Kitteridge to Italy but we'll talk about it later. Unfortunately, due to her very busy schedule the director didn't managed to have a detailed talk with her fellow countrymen. Nevertheless, Cholodenko remembers her roots - in early twentieth century, years of unrest, her grandfather headed over the ocean looking for better destiny. Despite the fact that back in the days majority of Ukrainians used to settle down either in Canada or in Brazil, he opted for an "in-between" alternative and went to the USA. Since when a teenager Lisa had been dreaming of directing movies - there are probably very few inhabitants of LA who dream about something else, it's just, behind attractive world of stage lights and red carpets there is a mountain of efforts not for everyone to handle. Cholodenko realized it almost immediately, when she got accepted to film school at Columbia University to the studio of legendary Milos Forman whose One Flew over the Cuckoo's Nest has been considered classical since long time ago. It is hard to imagine a better teacher, even more so since he also was a Slav - just like Cholodenko's grandfather he had imigrated to the West further away from obtrusive social realism, therefore a teacher and his student became a hand in a perfect glove. Under supervision of an experienced director an American girl with Urainian origins was learning nuts and bolts of movie-making and elaborating her own style. As far back as at film school an American with Ukrainian roots knew what she will be filming about - being an open gay, she had decided to honestly show life of sexual minorities with all its "joy and sorrow" in her stories. Large studios got interested in her first short movies and the girl was invited to work in big movie production and not as a clapper or some 5th assistant but as an editor straight away. And although hardly many people today recall such nothing-out-of-ordinary movies as Boyz 'N the Hood and Used People, they helped her get a start. As earlyas in 1998 she found money to make a film of her own, High Art, about life of two female photographers and their relations, in addition she "flavored" the plot with drug addiction. Her debut - honest and stylish story of a generation of young and successfull Americans of 1990s was appraised by both critics and intellectual audience. 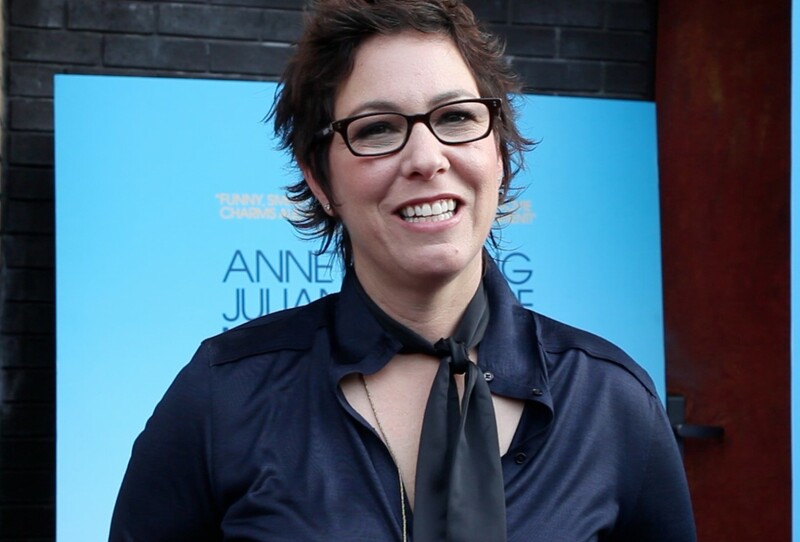 The film didn't make it to general public so Lisa Cholodenko found herself in the caste of refined art-house directors off the bat. However, it seemed like Lisa herself didn't want to become another "author for the chosen ones" from art-house ghetto. So she gave her direction a drastic turn and went to work as a director on TV early in the millenium. She had her hand in such popular US projects as Six Feet Under, The L Word and Hung. Many were wondering back then why a favored-by-critics filmmaker would make "soap", of high quality thouh it was. It turned out that Cholodenko had decided to polish her skills so that ordinary audience take fancy in her movies, too. And she achieved this goal by triumphantly returning to the big screen in 2010 with stir-causing film The Kids Are All Right. Star cast with Julianne Moore, Mark Ruffalo and Mia Wasikowska in the lead play a touching dramedy about relationships of two lesbians with their kid's biological father. The movie turned out both funny and sad, because Lisa knew what she was talking about: she and her partner also raise son from an anonymous donor. With a modest budget of 4 million dollars, the film gathered over 40 million from box office, received 4 Oscar nominations and won a Golden Globe. Producers worshipped the Ukrainian woman, tons of offers landed on her and she... took a break and went back to TV. While after a not-very-successful debut (in terms of box office) her work on TV was some sort of escape and learning it the hard way, in 2012 situation was completely different. When taking up the project of Olive Kitteridge Lisa was aware that format of a series was the best opportunity to comprehensively tell a touching story of an amazing American teacher with quite a temper. 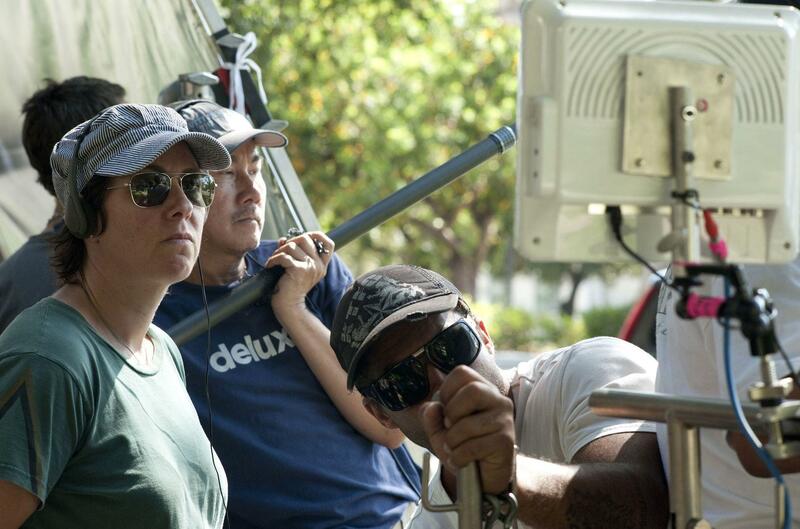 Deliberate 4-episode project starring legendary Frances McDormand became a real hit in 2014. Those 20 years of the lead character's seemingly "ordinary" life with all her ups and downs are told in such an interesting way that they "capture" audience just as good as a detective or a thriller. It is a picture of a phenomenon, because free-spirited Cholodenko ended up in iron fists of HBO channel, managed to create one of last year's most popular projects that is already put on a par with Twin Peaks. Today the American with Ukrainian roots is filming another series with a sound title The Slap. Many people doubt that she will be able to outdo her own success of last year. But who didn't doubt Cholodenko when out of a director for best brains she suddenly turned into a popular top-ranking master? Luckily, there isn't much time left to wait - as soon as in 2015 The Slap will hit the screen. We'd like to believe that high-quality series of fellow countrywomen will be broadcasted on Ukrainian television, and then, may be, she herself will visit her historic Motherland. The Ambassador Extraordinary and Plenipotentiary of Lebanon to Ukraine Claude Al-Hajal visited the presentation of Lebanese movie ‘Heritage’ directed by Philip Aractanji happened in the cinema of Kyiv.